With the kids off school for Winter Break, they've been having some fun this week playing their Skylanders SuperChargers video game. 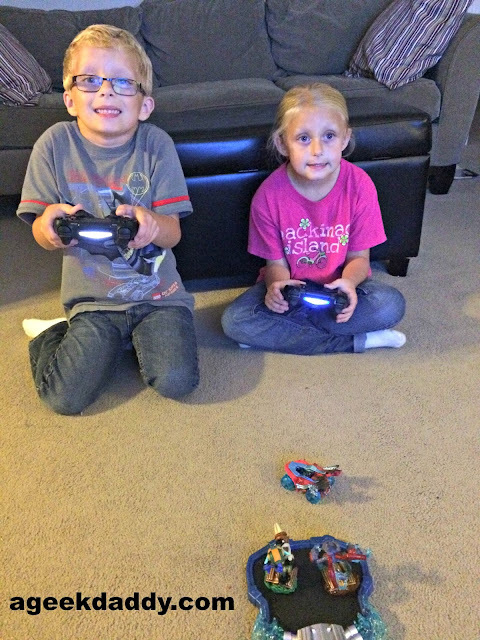 Their game play has had a bit of Christmas spirit added to it with the special holiday edition Skylanders SuperChargers character we recently picked up for them as a reward for doing well on some tests at school. 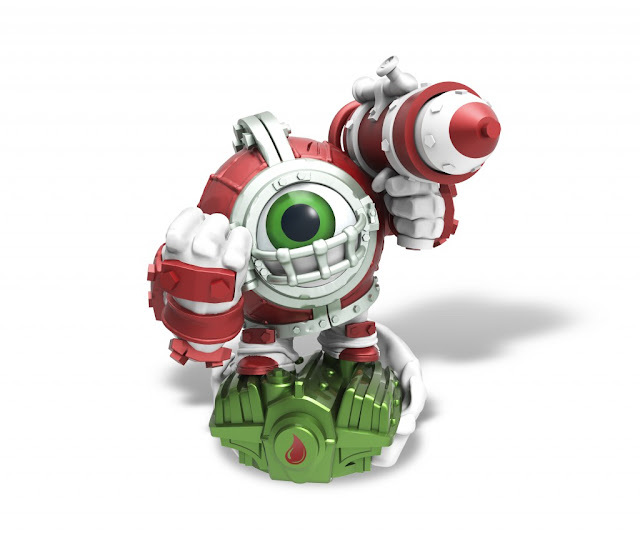 Missile-Tow (see the holiday themed pun ) Dive Clops has a candy cane themed coloring to the character. Plus he can slow enemies down with candy-coated missiles in the game. If you are still looking for stocking stuffers or want to pick up something to add a bit of holiday spirit to your child's Skylander SuperChargers experience, you can find Missile-Tow Dive Clops at Best Buy or Game Stop. With Christmas just a few days away, I also wanted to share this fun animated Christmas Carol from Skylanders that has a great 1950's rock and roll, hot rod vibe to it. SuperCharge your holiday with this high-octane Christmas Carol from the video game's cast of characters in the Skylands! 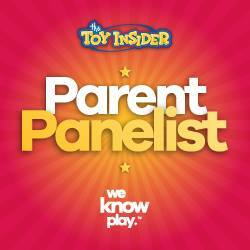 CLICK HERE for more information about the Skylanders SuperChargers video game.